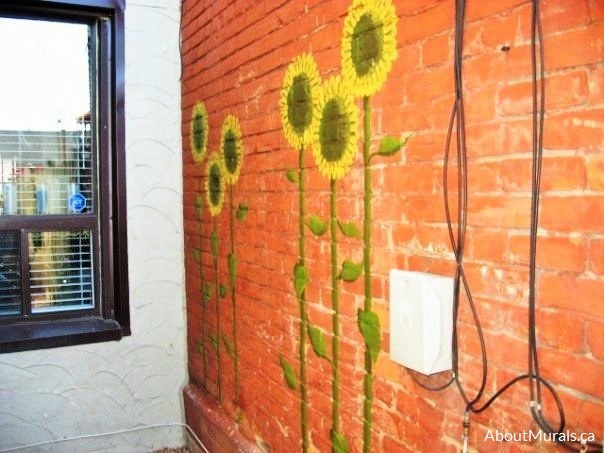 Even though this sunflower mural was painted in Hamilton, Ontario, I also sell flower wallpaper murals that ship for FREE within Canada and the USA. They are super easy to hang and totally removable when you’re ready for a new look. 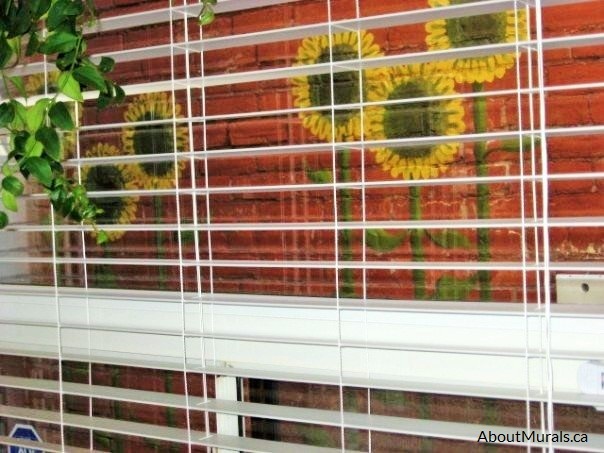 Thinking of a sunflower mural? Here are photos of a mural I painted to give you some ideas for your own space. Luke lives in an attached home and his kitchen window looks onto the dreary brick wall of the house next door. But the garden next to it (that you can’t see from the window) is cheery with an abundance of colourful flowers. Luke wanted to bring his garden into the nook outside his window, so he had something beautiful to stare at while washing his dishes. He already painted the brick wall before I came to create the mural, but if you’re not the DIY type, I also offer these services. I only use non-toxic acrylic paint and no-VOC latex paint, so it’s safe for you and your family to breathe the air – even on the day I finish painting. 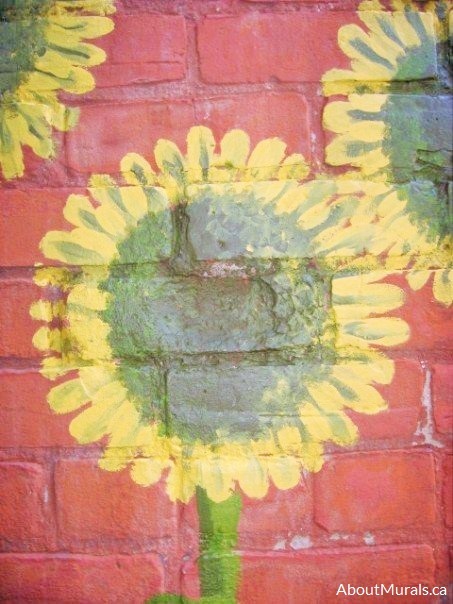 Still thinking of a sunflower mural and like my style? Let’s work together! I’ve been hand-painting murals, from Toronto to Niagara Falls, since 2005. I’ve even painted one for a Mike Holmes TV show! Join my newsletter community and I’ll keep you posted on all the latest promotions…and maybe even send a hot coupon code!